Here is another great Drive tool for math teachers we want to bring to your attention. 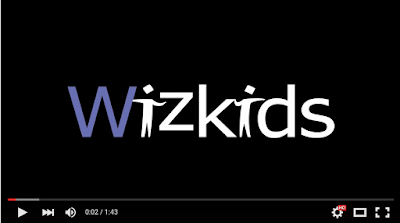 Wizkids CAS is an add-on that allows you to plot graphs and solve complex equations right in your Google document and without the need for any third party application. 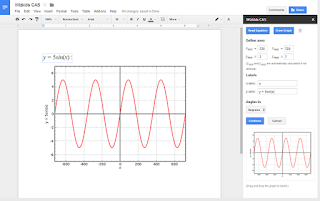 Solve equations and plot graphs. 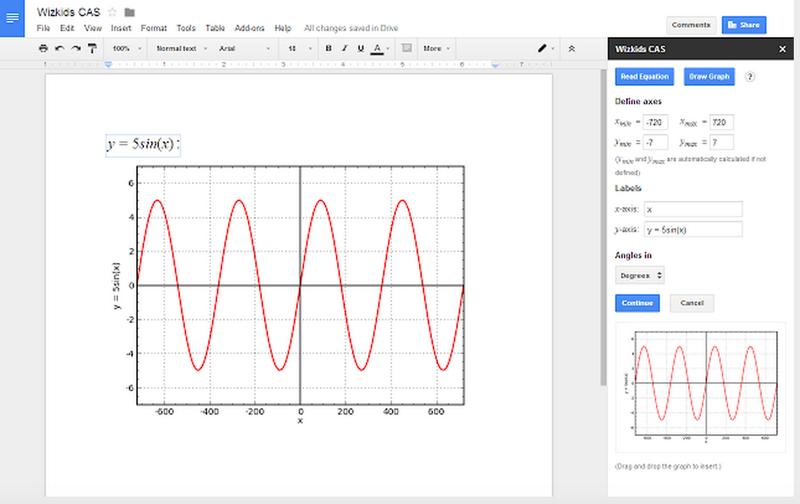 • Drag and drop results and graphs from the sidebar in Google Docs.